Sonyde thread vannapol thanne e thread pratheeshichathanu. Iniyum varanundallo kure threads. Btw, thanks saathan for this initiative. CEO Steve Jobs says new MP3 player lineup is the strongest in his company's history. Apple on Wednesday overhauled its iPod line of MP3 music players, adding features borrowed from the iPhone 4 to some and downsizing others almost to the size of a postage stamp. The new iPod touch gets iPhone 4's Retina Display, FaceTime video conferencing, front-facing camera, and iOS 4.1 operating system. Retina Display offers a resolution of 960 x 640 pixels, or five times as many as on the previous iPod touch. And with the combination of the front-facing camera and FaceTime app, iPod touch users can make video calls to other iPod or iPhone users who've got the same setup on their devices. 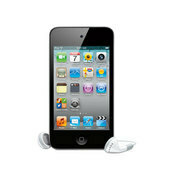 "We've put our most advanced technology inside the new iPod touch," said Apple CEO Steve Jobs. "Whether you're listening to music, playing games, making FaceTime video calls, browsing the Web, capturing HD video or watching TV shows and movies, the new iPod touch with its Retina display, A4 chip, and 3-axis gyro is more fun than ever," said Jobs. The new iPod touch hits stores next week. The 8GB model is priced at $229, the 32GB model is $299, and a 64GB model is $399. Apple also revamped the iPod shuffle and iPod nano lineup. To the iPod shuffle, Apple added a VoiceOver button which, when pressed, lets users hear the name of the song that's currently playing. It also alerts users to a low battery. The VoiceOver feature is available in 25 languages. Meanwhile, new clickable buttons let users more easily play, pause, and fast-forward their music. Apple has also improved iPod shuffle's battery life, extending it by up to 50%. That means more than 15 hours of playback on a single charge, according to the company. "We're making the iPod shuffle even better by combining clickable buttons and VoiceOver technology, so users can find and enjoy their music without ever looking at their iPod shuffle," said Jobs. The new, fourth-generation iPod shuffle is available next week, starting at $49 for the 2GB model—available in silver, blue, green, orange, or pink. Finally, the iPod nano has been completely redesigned. The new version is almost half the size and weight of the previous version, and new touch controls let users navigate through their playlist simply by tapping or swiping the screen with a finger. It also features a sleek, aluminum and glass casing with a built-in clip. "This is the biggest reinvention of the iPod nano since its debut in 2005, and we think users are going to love it," said Jobs. Availability starts next week, with prices beginning at $149 for the 8GB model, and $179 for the 16GB model. Now you can use your iPhone instead of your credit card by a new unique service is called "payWave" which allow you to make payments with your iPhone, In New York it is just possible to test this service as the enabled-machines were positioned at strategic locations such as railway stations and subway. Paying the train fare will be much faster and easier than before, simply, you will have to download the dedicated application from the AppStore, then you just need to "Slide to Pay", then it will deduct the money from the credit card that you have associated to the application. 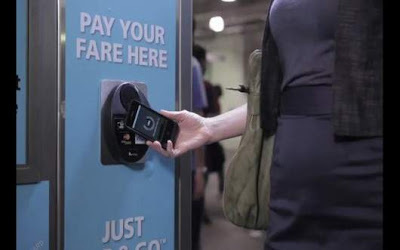 For now this type of payment is being tested by the New Yourk City Transit, NJ Transit and the Port Authority of New York and New Jersey, in order to be able to see if it can take hold in a positive way or not. See how it works in the below video. Visa is also working with Bank of America to bring smartphone payments to retailers in New York City. Will you use such apps? iTrip broadcasts the music from your iPod or iPhone to an open FM frequency on the nearest FM radio (whether that's a boombox, a home FM receiver or your car radio) so you, and the rest of the room (or car), can listen to your tunes through your own great-sounding stereo speakers. 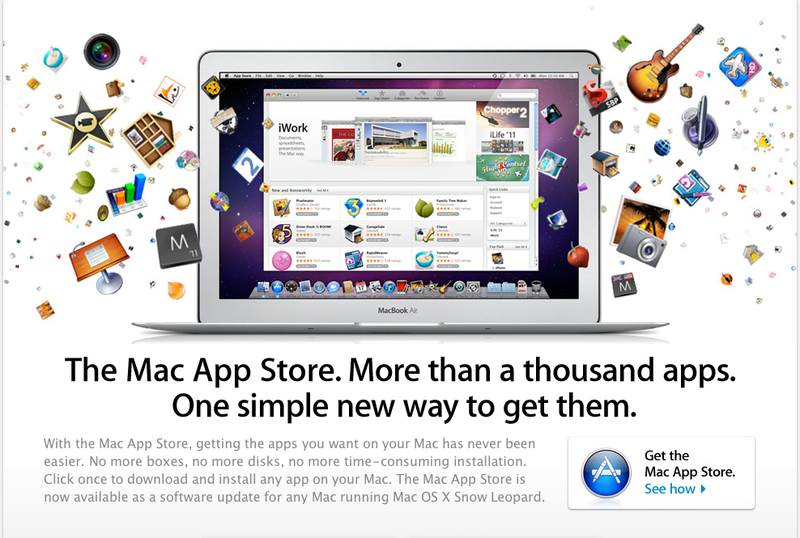 The Mac App Store will be available January 6, 2011.